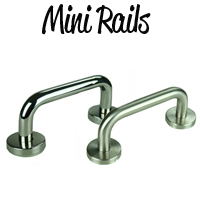 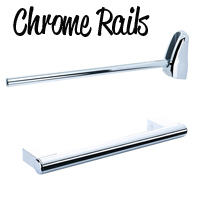 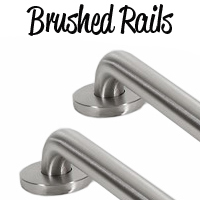 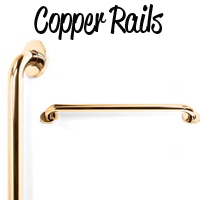 Grab Rails In Chrome - A true luxury looking range of contemporary grab rails. 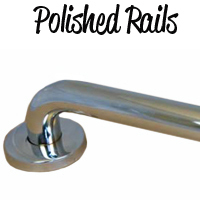 Ideal for domestic house holds, nursing homes, commercial and business, hotels etc. 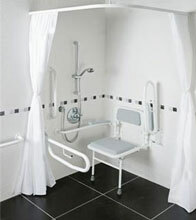 Suction grab rail 300mm green safety device indicates secure grip. 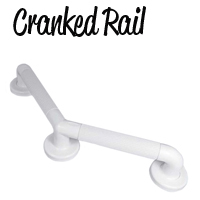 Flat Grip Plastic Grab Rail - Designed for use in tight spaces where a traditional flange won't fit. 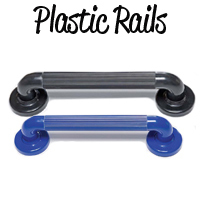 Plastic Fluted 135° Cranked Rail. 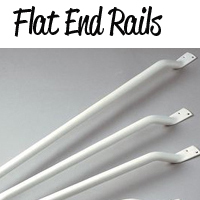 Supports the users hand and forearn. 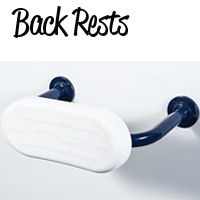 Ideal for use in shower or next to WC. 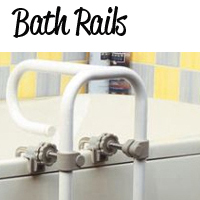 A epoxy coated rail with a different shaped handle that also assists with standing up or sitting down in the bath. 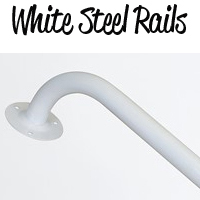 Wall Mounted Grab Rail For The Bath - Hinged support rail that is fixed to the wall over the bath. 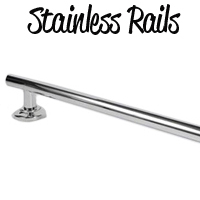 Back Rest Rail - Gives support to user when using a low level WC. 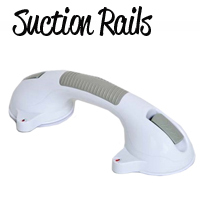 - Doc M Compliant. 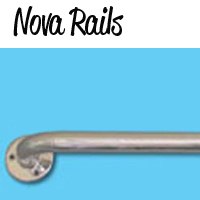 There are many grab rail types from different materials, colours, sizes and styles. 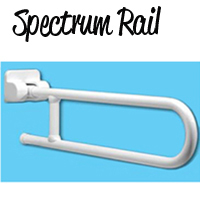 Here we have a wide variety of grab rails which aid the user which extra support.